We can customize a trip just for you! Name the spot, or we will help you choose the perfect destination. We have the contacts, knowledge, experience and expertise to plan your perfect vacation. Airline reservations, ticketing, car rental, hotel/resort & diving reservations. Planning a vacation to complete your Open Water training dives? for a custom travel package to any destination. We can also book a wonderful custom travel getaway vacation through Apple Vacations. Also, check out the last minute deals through Apple — you might find yourself on a sunny beach tomorrow! Sandals is a collection of the most romantic beachfront resorts in the Caribbean. Sandals are for adult couples and Beaches is for everyone. These all-inclusive resorts are located in Jamaica, St Lucia, Barbados, Bahamas, Turks and Caicos, Grenada, and Antigua. Discover the Caribbean’s most luxurious beachfront rooms and oceanview suites. Enjoy an astounding array of land and watersports, including unlimited golf and scuba diving up to 2 tanks a day for certified divers. No need to book Sandals and Beaches resorts yourself, one of A-1’s experienced travel consultants can always match the prices you are finding on your own, ALWAYS! Did you know we can now help you plan your whole wedding in the Caribbean? Some resorts even provide this service for free.Let us take the stress out of planning your wedding in paradise. 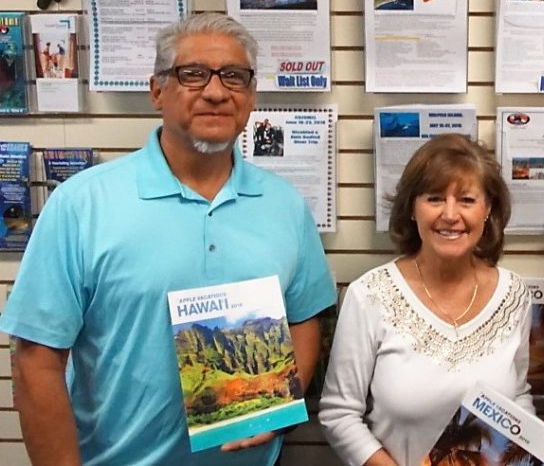 Call one of our knowledgeable Travel Agents at 303-789-2450 or 800-783-SCUBA. The following resorts offer weddings! Your guests will enjoy the very best that the Caribbean has to offer. Explore exquisite islands so beautiful that they will literally take your breath away. Create lasting memories together in a place that you and your guests will never forget and that your hearts will always cherish. The best scenery of the Riviera Maya with the luxury of all-inclusive resorts. Scenic views and beautifully designed rooms make this vacation an unforgettable and exciting experience. You will feel like royalty, savoring fine cuisine and indulging in an assortment of domestic and imported beverages. Plan Your Dream Vacation ! Our A-1 travel consultants await your call.